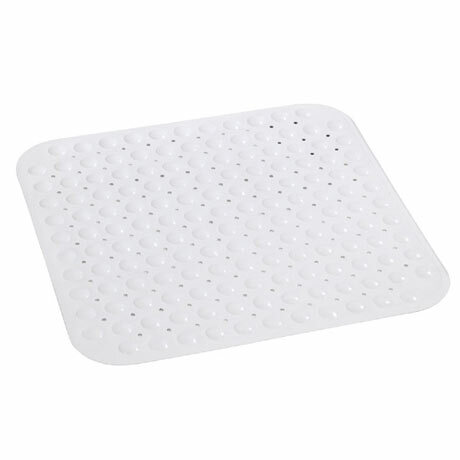 The Tropic Shower Mat from Wenko, a decorative shower mat with suction cups on the lower side. Slip-stop structure for highest degree of safety. Great mat just the right size for our new shower and grips onto the shower tray perfectly. The black looks great on the white shower tray in our new black and white bathroom.